Edison is a very controversial character. 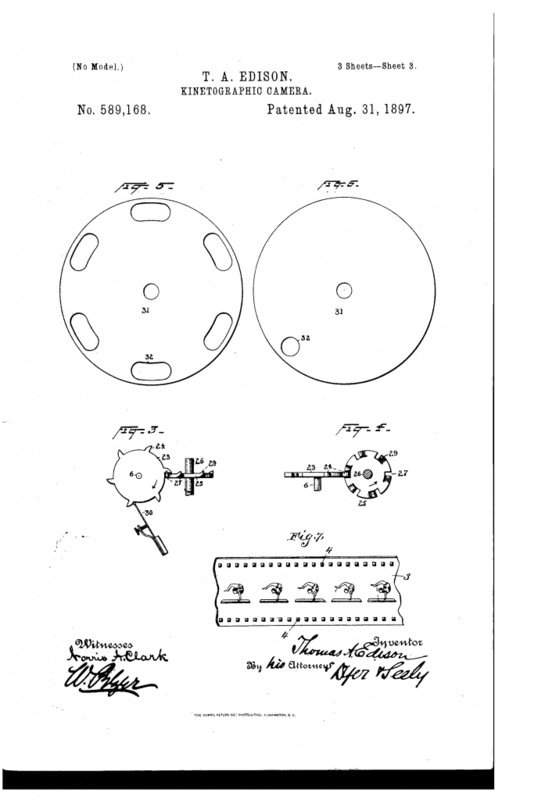 Although during his life he patented over 1,000 inventions, he often receives credit for inventions he didn’t necessarily create from scratch but rather took the steps to mass produce. The reason why his genius is often disputed is that some of the inventions for which he takes credit didn’t actually belong to him, but were actually a modern, more functional version of other pioneer inventions. For instance, most people know Edison as the inventor of the light bulb, but he actually just modernized the initial design. His other major contribution was to the American spirit of entrepreneurship. Few people know that he was one of the founders General Electric — still one of the largest companies today. Some of his most important inventions are the light bulb as we know it, the telephone, the movie camera, the microphone and alkaline batteries. 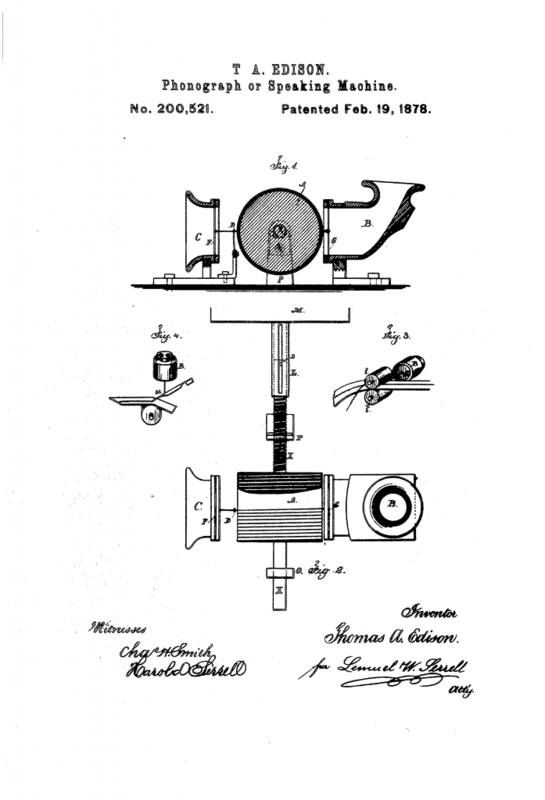 While it wasn’t his invention per se, Edison did improve the telegraphy technology in order to make a universal stock printer. The gadget (at the time) was better than anything of its sort and it was purchased by the Gold and Stock Telegraph Company for $40,000 – a huge sum back then. Being one of the scientist’s first creations of this scope, the patent paved the way for a series of other scientific discoveries; it also made him a lot of money. The telegraph was actually the source of inspiration for this device. Trying to make the telegraph transmitter more efficient, Edison started to experiment with the possibility of recording messages on the diaphragm of the receiver by using a needle. 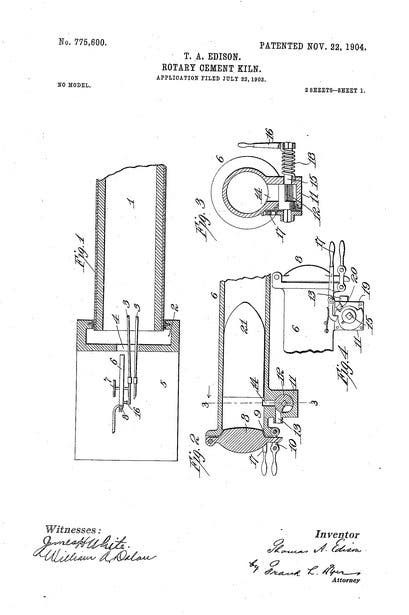 The contraption contained two needles: one for recording and the other for playback. The sound vibration made while speaking into the mouthpiece was recorded to the cylinder with tin foil. This was the invention that made Edison internationally famous. 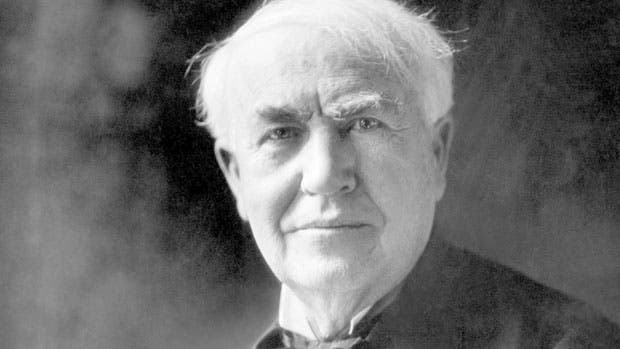 Edison first produced reliable electric light in 1879, guiding us to the electrical age. 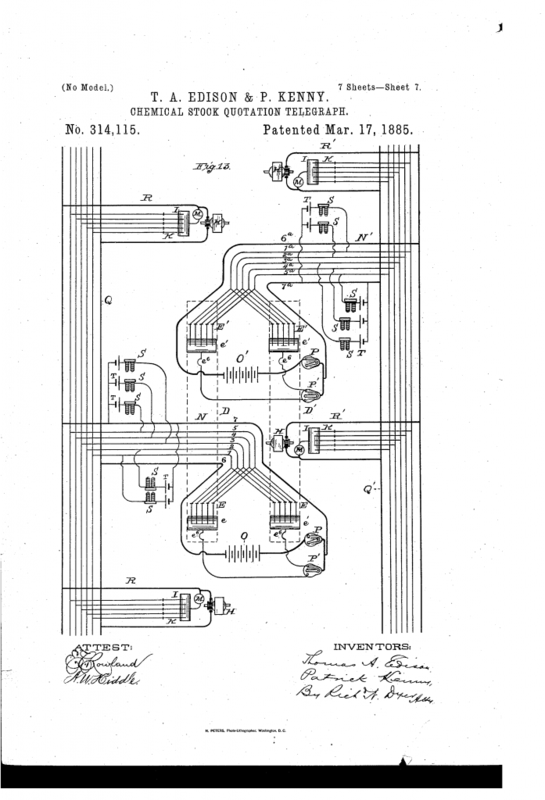 He invented the first practical incandescent light bulb along with the systems comprising it (a parallel circuit, an improved dynamo, devices for constant voltage and light sockets with switches). 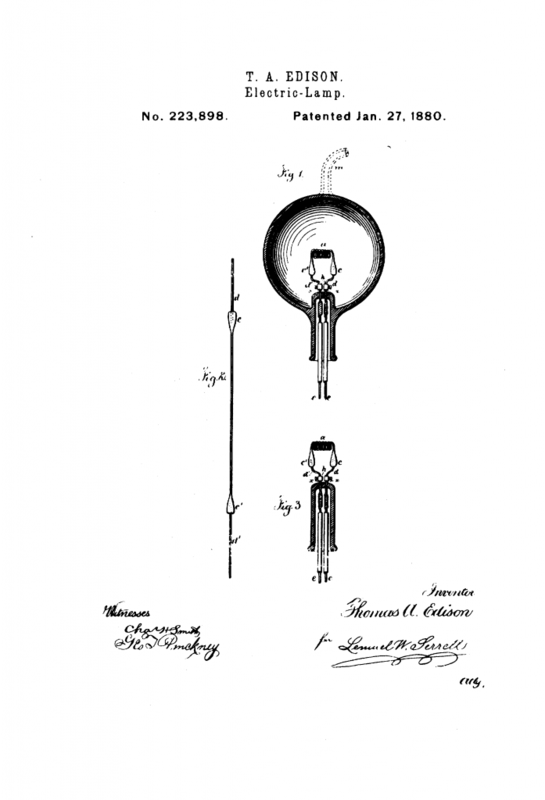 In order to allow this invention to be available on a large scale, he also founded one of the world’s first electric companies (which would go on to become General Electric after a huge merger), making the first carbon filament light bulb commercially viable. There were many previous versions of the light bulb, but they were either too expensive (they were using platinum) or didn’t last long enough. This device was designed to ‘do to the eye what the phonograph does for the ear’. Edison developed a projector of his own and built a motion picture production studio from scratch, using the moving camera and viewer. The first motion picture was made possible 7 years later, in 1896, and was filmed in New York City. In 1913, by combining the phonograph and the kinetoscope, he also produced the first talking motion picture. 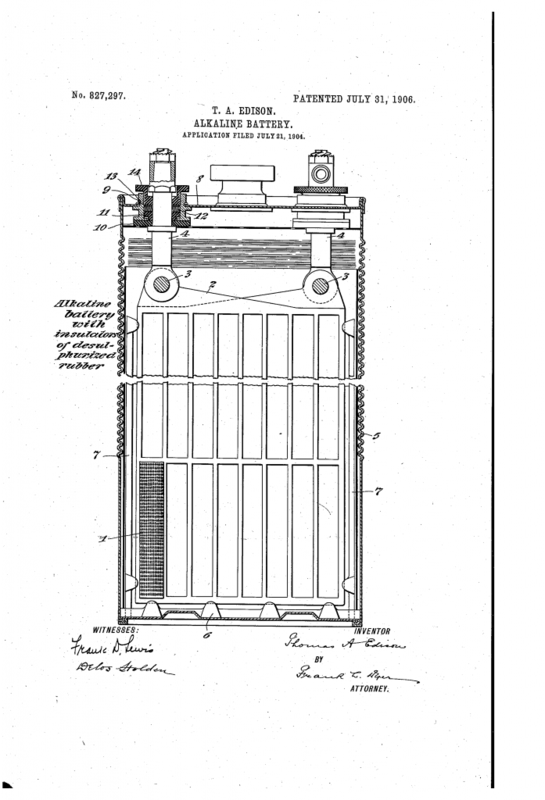 As he was experimenting with an iron and nickel battery, Edison discovered an alkaline solution which produced a longer-lasting battery that was also better suited for electric vehicles because of being of a significantly higher energy density. As this discovery turned out to be consumer-friendly, it also became one of the most successful productions in the early 1900s. Needless to say, cement already existed at the time, but Edison’s contribution was improving the manufacture, especially through the use of rotary kiln. He also founded a company for this product to become widely commercially available. In 1889, Edison already had several companies: Edison Lamp Company, Edison Machine Works, Bergmann & Company, and Edison Electric Light Company. By merging with a company owned by J.P. Morgan and Anthony J. Drexel, he founded the Edison General Electric Company which was incorporated in New York on April 24, 1889. Today, the company still exists, and it’s now one of the biggest companies in the world, with total equities of $136 billion, and over 300,000 employees. While it’s hard for us today to imagine a world without telephones, movies, recorded music and electricity, Edison still remains a controversial figure. Despite the fact that he didn’t finish any of his higher academic studies, the scientist did follow an impressive number of classes on different subjects that were close to his scientific interests. No matter how disputed he may be, we should give to Caesar what belongs to Caesar.